Yesterday the House passed the corporate welfare bill (330 - 93) - H.R. 2072, the bill reauthorizing the Export-Import Bank. Noting the delegation from Arkansas: Rick Crawford (R), Steve Womack (R), Mike Ross (D) all supported the bill. Tim Griffin (R) voted no; the correct vote in my opinion. All no votes were by Republicans. The 183 democrats voting all voted for the bill. As for the Republicans, 147 voted yeas and 97 voted no. It is a sad day when the Republicans are in control and cannot or will not put down a raggedly old (created by Executive Order in 1934) worn out abused program that wastes and risks the people's money. When Nancy Pelosi, Debbie Wasserman Schultz, and Henry Waxman complain about failed bi-partisanship, the Republicans can now, not so proudly, point to the passage this Export-Import Bank bill. Republicans leadership had their chance and failed. Senate democrat leadership will now move quickly to get this bill passed and on to the President for signature. Corporate Welfare money had its influence in the House and bi-partisan corporate welfare (and contributions) are alive and well for incumbent members of congress except for those who voting no. Americans for Limited Government President Bill Wilson responded, "The House had an opportunity to show that corporate welfare in any form is unacceptable, and yet again blew it by not only reauthorizing the Ex-Im Bank, but by adding $40 billion to its lending capacity. Every member who voted yes now must explain to their constituents why they support a bank that gave millions to bankrupt Solyndra. Why they support a bank that gives foreign companies an edge over U.S. companies in the global economy. And why they support a bank that has wasted billions manipulating markets rather than allowing market forces to determine demand." Today, Senate Majority Leader Harry Reid (D-NV) has already moved to proceed to H.R. 2072, to reauthorize the Export-Import Bank. Votes are possible later today if Democrats agree to allow votes on amendments. Also, in the Senate, there may be a possible is a vote to reconsider the failed cloture vote on the motion to proceed to S.2343, Democrats’ bill to stop an increase in student loan rates caused by legislation they passed in 2007. The House yesterday also passed (411 - 2) H.R. 4133 — "To express the sense of Congress regarding the United States-Israel strategic relationship, to direct the President to submit to Congress reports on United States actions to enhance this relationship and to assist in the defense of Israel, and for other purposes." The Nay votes were by Rep John Dingell (D-MI) and Rep. Ron Paul (R-TX), Republican presidential candidate. Canadians sent a warning shot over the bow of America's ship of state. Politico reports today, “Canadian oil executives this week are personally warning U.S. lawmakers that the delay in the Keystone XL pipeline has repercussions on U.S.-Canada trade relations. The CEOs of at least six Canadian oil companies or subsidiaries — in town on a regular annual visit ostensibly to talk about broader issues affecting Canadian oil production — will almost certainly end up predominately lobbying members of Congress and a diverse list of think tanks on Keystone. In other words, thanks to the unnecessary delays and political dodging on allowing the Keystone XL pipeline to move forward, our allies in Canada are saying that if the Obama administration continues this kind of treatment, they’ll look for other partners to do business with, particularly in Asia. There’s simply no longer any excuse for President Obama to keep blocking the pipeline. Transcanada, the company that will build the pipeline, has worked with the state of Nebraska to approve a new route to avoid any environmentally sensitive areas and has now submitted a new application to the State Department. Labor leaders and Democrats in Congress have expressed support for building Keystone XL, since it would create tens of thousands of jobs and allow the U.S. to import more oil from Canada instead of the Middle East. 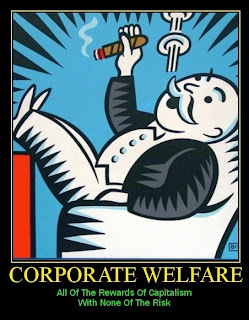 Tags: Washington, D.C., US Senate, US House, corporate welfare, H.R. 2072, Export-Import bank, Cananda, warning, XL Pipeline To share or post to your site, click on "Post Link". Please mention / link to the ARRA News Service. Thanks!